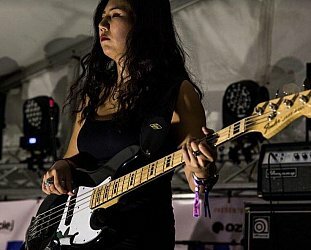 Those fresh from Womad will attest that some of the most interesting music is made at the interface of cultures, and this album is further evidence. 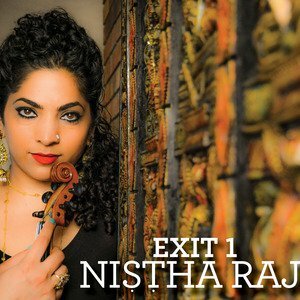 Texas-raised Nistha Raj (now living in Washington DC) graduated with honours in her classical violin studies but was drawn back to the music of India and spent three years there exploring and learning the modes of Hindustani classical music. 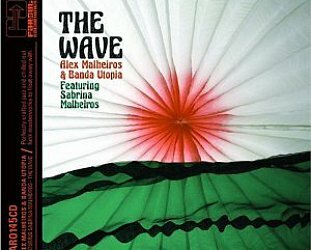 But while this debut album (under a telling title) is grounded in that music -- she plays the traditonal five-string violin -- and features tabla player Debu Nayak and Rangashree Varadarjab on Carnatic violin (among other musicans of Indian heritage), there are a whole lot of other influences and elements at play. Here and there adding colour, drama and ambience are saxophone, cello, upright bass, piano, Christylez Bacon as human beatbox . . . Yet all these seemingly disparate elements merge into some beautifully coherent playing, most notably on the violin-piano focused Ek Pyar Ka Nagma Hai ballad with musicians from the Fourth Stream collective and bassist Ethan Foote. Raj's violin adopts a voice-like tone (the tune a Bollywood favourite originally sung by the great Lata Mangeshkar) in the slow progression where the percussion has a heavy and almost portentous tread behind her soaring notes and the piano. The marraige of saxophone and Indian music has been effected before (Joe Harriott's Indo-Jazz albums, John Handy with Ali Akbar Khan on Karuna Supreme) and the treatment here of their original Jayanathi with Aakash Mittal and tabla player Debu Nyaka is a real highpoint. But so is the fairly straightforward and romantic Adje Jano, with acoustic guitar. The more traditionally-based pieces like the truncated and exciting raga of The River really take off as the two different violins find common ground between their traditions. And oddly enough Bacon's man-made percussion slots in alongside the violin on distinctive pieces like the keening Bhairavi Beatbox. For a debut album this impressively balances the traditional and the modern worlds, and makes you want to follow Raj down this exit lane from the main highway. For more on various styles of Indian music from traditional to fusion -- with reviews, overviews and interviews -- go here.